Individual Savings Accounts (ISAs) aim to encourage UK residents to prepare for their financial future by saving and investing in a tax-efficient way, thereby keeping more of any returns they earn. ISAs first launched in 1999 in both Cash and Stocks & Shares forms to replace their predecessors, the Personal Equity Plans (PEP) and Tax-Exempt Savings Accounts (TESSA). Today, several types of ISA exist to suit people’s varying needs. There are 4 main types of adult ISAs available (Cash ISAs, Investment ISAs, Innovative Finance ISAs, and Lifetime ISAs) and they’re subject to strict rules. Each tax year, you can open one each of these and use your annual allowance to potentially enjoy tax-efficient earnings and gains – the ISA allowance for 2018/19 is £20,000 and you can put it all in the ISA of your choice or split it between a number of ISA accounts (please note that you can only put £4,000 in a Lifetime ISA). If you have a child living in the UK and aged under 18, you can open a Junior ISA to give them a head-start in life. Any money deposited in a Junior ISA belongs to your child and can’t be accessed until they turn 18. If this feels a bit overwhelming for you, here’s a guide to help you get familiar with each ISA type. A Cash ISA mainly works like a traditional savings account. You can open a Cash ISA if you’re a UK resident aged 16 or over, and it lets you save money and pays you interest. However, when you hold a Cash ISA, you don’t pay any tax on interest you earn. With a bank or building society’s savings account, you pay Income Tax on earnings exceeding £1,000. Paying into a Cash ISA is often seen as the safest option as your savings aren’t subject to market ups and downs. And you typically get an income and easy access to your money. However, it’s important to see the full picture: when inflation outpaces the interest rate your Cash ISA earns, the value of your savings will actually go down a little in real terms. This obviously isn’t ideal if your aim is to grow your money over the long term. With a Stocks & Shares ISA (also known as an investment ISA), your money is invested in assets like shares, bonds, property, and commodities and you don’t need to pay any tax on capital gains you make or income (interest and dividends) you earn. Put simply, you can keep everything you earn from your investment after all charges and fees are taken. You can pay into a Stocks & Shares ISA if you’re a UK resident aged 18 or over. Holding a Stocks & Shares ISA does present some risk since there’s no guaranteed return and the value of your investments could go down. However, it also gives you the chance to earn higher returns than you can from your cash savings. One way to mitigate your risk is by remaining invested over the long-term as this typically helps you smooth out the ups and downs of the market and give your money time to benefit from the power of compounding. History suggests that people investing during any 10-year period since 1984 in the FTSE 100 index had an 88%1 chance of making a positive return on their money. Paying into a Lifetime ISA allows you to save for your first-home and/or retirement and you don’t have to pay any tax on income you receive and capital gains. With this type of ISA, you’ll receive a 25% bonus on anything you’re putting in - this is £1 for every £4 you put in, up to a maximum of £1,000 per year. This bonus is given every month, and you’ll then get interest or potential investment growth on it. Opting for a Lifetime ISA means you can hold cash or investments, or a combination of both, and the choice is up to you. You must be at least 18 but under 40 to start a Lifetime ISA. The maximum amount you can put in each tax year is £4,000. You can contribute to your Lifetime ISA until your 50th birthday. If you intend to purchase a house, you must be a first-time buyer, meaning you’ve never owned a property in the UK. The home you want to buy must cost £450,000 or less. Once you start a Lifetime ISA, you must keep it open for at least 12 months before you can use it towards a deposit for your first house. You need to use a conveyancer or solicitor to act on your behalf when making the purchase which will incur additional costs. Your house must be bought with a mortgage. The funds in your Lifetime ISA can only be withdrawn to purchase your first home or once you turn 60 (or in in certain circumstances where you are terminally ill)– if you withdraw funds before or for any other reason, you’ll be charged 25% of the amount you withdraw. Paying into a Lifetime ISA isn’t the only way to save for a first home. Until November 2019, you can open a Help to Buy ISA and after that date, you’ll no longer be able to do so. With a Help to Buy ISA, the total amount you can save each month is £200, and in your very first month, you can make a total deposit of up to £1,200. In addition to receiving guaranteed tax-efficient interest payments, the government will give you £50 for every £200 saved – this is a 25% top up on your contributions. Once your savings have reached £1,600, you can claim the government top up at any time. Bonus payments are capped at £3,000, so once your Help to Buy ISA balance exceeds £12,000, you’ll no longer get the benefit of the bonus, but you can keep on saving tax-efficiently. 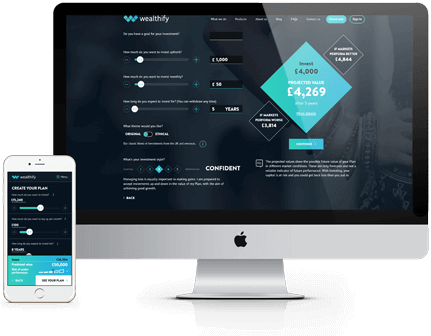 An Innovative Finance ISA enables you to become a lender– providing loans to approved individuals and businesses via an online peer-to-peer lending platform in return for a fixed amount of interest over a set period and paying no tax on the interest you earn. Without a bank acting as the ‘middle man’, there’s a more direct lender-borrower relationship, which can mean greater opportunities for all participants but also greater risks, since borrowers can default and fail to pay you back. And in such situations, you would be unable to make a claim for compensation because your money isn’t protected by the Financial Services Compensation Scheme. So, something to consider before opting for an Innovative Finance ISA would be gauging your risk appetite. Junior ISAs allow you to give your little angels a head-start in life. Launched in 2011 by the government to replace Child Trust Funds, Junior ISAs enable you to save and invest for your children in a tax-efficient way. You can open a Junior ISA for your child at any time, as long as they’re under 18, live in the UK, and don’t already have a Child Trust Fund. Junior ISAs come with an annual allowance – in other words, the amount you can put in your child’s Junior ISA each tax year is limited and for 2018/19, the threshold is £4,260. In 2019/2020, the allowance will go up to £4,368. When looking to open a Junior ISA, you can choose to pay into a Junior Cash ISA or a Junior Stocks & Shares ISA, or both, as long as you never go over your child’s annual allowance. And unlike an adult ISA where you can open a new one each tax year, your child can only have one Junior Cash ISA and one Junior Stocks and Shares ISA account throughout their childhood. A Junior Cash ISA allows you to save money and your child won’t pay tax on any interest earned. If you opt for a Junior Stocks & Shares ISA, your money will be invested in shares and other types of assets, and your child won’t pay any tax on any capital gains or income (interest and dividends) they receive. One thing to keep in mind though is that any Junior ISA you open is owned by your child and no one else. Also, when your child turns 18, they can access their money and their Junior ISA becomes an adult ISA, giving them the opportunity to keep building their financial future in a tax-efficient way. If you’re unhappy with the returns your child is getting or think you’re paying too much in fees, consider transferring their Junior ISA to another provider. If the transfer occurs between two Junior Cash ISAs or two Junior Stocks and Shares ISAs, you must transfer the full balance. If you decide to transfer a Junior Cash ISA to a Junior Stocks and Shares ISA, or vice versa, you can move the balance in full or part. It’s also possible to transfer a Child Trust Fund into either type of Junior ISA, as long as you use the official transfer form and transfer the full balance. Once the Trust Fund is transferred, it’ll be closed. Figures in this blog are based on past performance and past performance is not a reliable indicator of future results.